energy by 2020, less than a year away . . . Climate commitments keep coming. Bills to move to 100% carbon-neutral electricity by 2030 and 2045 advanced in Washington and New Mexico, while Minnesota’s governor announced a plan to move his state to 100% zero-carbon by 2050. Senator Cristina Castro and Representative Ann Williams have introduced The Clean Energy Jobs Act, which would raise the state’s RPS to 45% renewable energy by 2030 and 100% renewable energy by 2050. 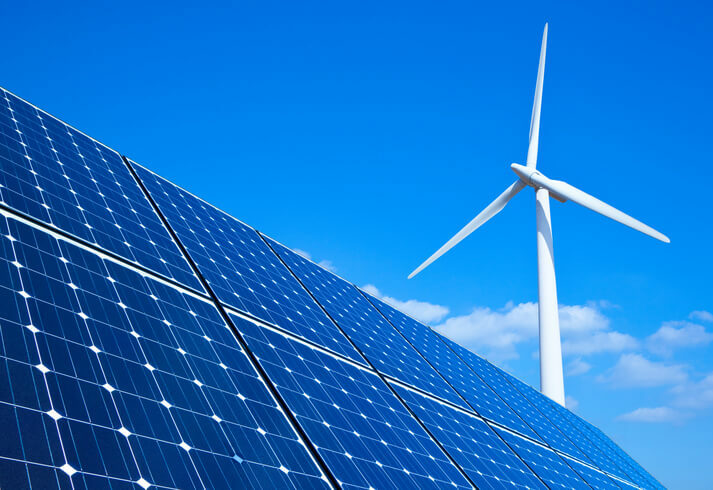 NextEra and KKR have partnered on a portfolio of ten operational wind+solar assets, totaling 860 MW of wind and 328 MWac of solar, in a $900 million convertible equity finance deal. 200 MW project outside of Fargo. BINGHAMTON, N.Y. – Mayor David announced the City of Binghamton will take part in NYSERDA’s Solar for All program, in hopes to reduce the energy burden of low-income houses with no-cost community solar subscriptions. It marks a continued growth in membership for IRENA year on year, with the membership almost doubled from 85 members in 2011. At present more than 80% of countries are members, including major world powers such as China, United States, Russia and the European Union. I’m not running for president, but I am launching a new campaign: Beyond Carbon. As part of its series of wind information slideshows, WINDExchange published Block Island and Beyond: Offshore Wind Energy in the United States. This slideshow provides a brief introduction to offshore wind in the United States, including the country’s first installation off the coast of Block Island, Rhode Island. The slideshow is also available as a PowerPoint file. This entry was posted in NewsBlog and tagged 100% renewable energy news, Beyond Carbon, energy storage, International Renewable Energy Agency (IRENA), IRENA's 100% renewables commitment, Michael Bloomberg, renewable energy news, U.S. offshore wind energy development, utilities' clean energy commitments, wind+solar, WINDExchange, zero-carbon energy policies on March 6, 2019 by Helen Deffenbacher. U.S. companies are dominating corporate procurement of clean energy this year even as global demand rises, and the record pace accelerated with two new and very different types of American firms announcing renewable power purchase agreements (PPA) totaling 160 MW this week. Jelly maker J.M. Smucker Co. signed a long-term PPA with Lincoln Clean Energy for 60 MW of wind power from the 230-MW Plum Creek project in Wayne County, Nebraska. The Plum Creek PPA will help Ohio-based Smucker gain half of its electricity use from clean energy by 2020. 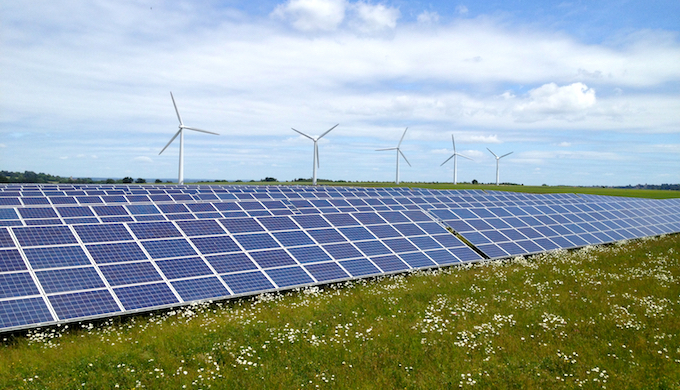 In conjunction with the National Association of Farm Broadcasters, WINDExchange produced an audio interview with Paul Stout, board member of the Coalition of Renewable Energy Landowners, an organization launched in 2009. Landowner groups may allow rural landowners to collaborate to negotiate wind energy development agreements as a group. According to Stout, when wind energy developers need to assemble large parcels of land for a wind farm, it is easier for them when they have one negotiated agreement that everyone can sign. Learn more about wind project development at the WINDExchange website. This entry was posted in Nebraska / Midwest News, NewsBlog and tagged corporate renewable energy procurement, Green Biz, green tariffs, Nebraskans for Solar NewsBlog, Power Engineering, WINDExchange on August 4, 2018 by Helen Deffenbacher.